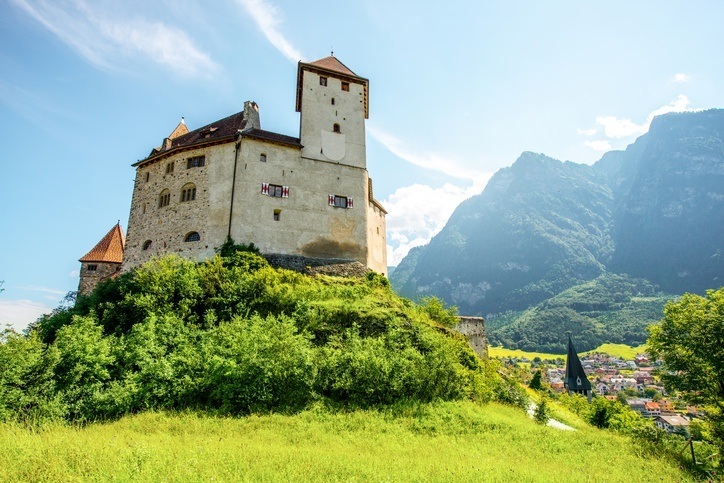 Often overshadowed by its (considerably) larger neighbours, Liechtenstein may not be at the top of your travel agenda…but if you do make the trip you’ll be treated to a quaint and picturesque escape from the busy cities and tourist hotspots of Western and Central Europe. Want to learn more about Liechtenstein? Liechtenstein is a tiny landlocked microstate in Central Europe. It borders Switzerland to the south and west, as well as Austria to the north and east. Depending on what you’re here for, winter or summer is the best time to visit. Winter if you’re planning on a ski trip through Liechtenstein, Austria, or Switzerland and summer if you’d rather enjoy the trails, vineyards, and generally nice weather. Fall and spring may be a bit cold and wet, without either sun or slopes. How do I get around Liechtenstein? Buses are the main option for public transport in Liechtenstein, with routes across the country. You can also rent a bike if you want to see the landscape a different way. German is by far the majority language in Liechtenstein. While everyone understands standard German, the main spoken dialect is Alemannic German. You’ll also hear a decent amount of English throughout. The best-known town and capital of Liechtenstein, Vaduz may not jump out at you with excitement and a bevy of things to do. It’s small, quaint, and clean but beyond a good meal and some luxury shopping there’s not a whole lot to do. Still the setting itself is magnificent with mountains and the (sadly usually off-limits) royal castle overlooking the quiet streets. It’s worth taking a walk around the outskirts, where the mountains and the Rhine steal the show. One of the benefits of visiting an alpine country is the skiing…and Malbun is the only actual resort in Liechtenstein. While the slopes won’t quite match the best Austria and Switzerland have to offer when it comes to the sheer amount of trails, Malbun is cheap and probably the liveliest place in the country (assuming you’re in season). When there isn’t any skiing to be had there is some beautiful hiking as well. 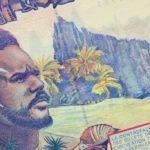 Overall, it’s a solid resort with a charming village at the foot that won’t eat away at your savings. Outside of the capital and skiing, the best thing to do in Liechtenstein is simply wander around and see the sights. Many people visit for a day trip or one night at most, but that offers plenty of time to explore the country’s offerings. The hilltop Gutenberg Castle is open to the public (unlike the royal residence in Vaduz), the Kunstmuseum Liechtenstein displays a renowned collection of modern and contemporary art, the national museum delves into the land’s history and culture, while simply walking the countryside offers up views of towering peaks, vineyards, lazy rivers, and more. There are some great alpine villages such as Balzers and Triesen worth a look too. All told, it’s a relaxing, distinctly un-touristy excursion but a great place to come when the pace of life gets a bit too hectic. Liechtenstein has no airports so you’ll have to fly into a nearby one, take the train or bus close to the country, and finally ride a bus in. Zurich is one of the most easiest places to fly into, with some round trips starting as low as $670 Canadian. There are other options for smaller airports nearby (such as Friedrichshafen in Germany), so do your research and see what options suit your itinerary. Liechtenstein uses the Swiss franc and you’ll find that most local prices are about on par with Switzerland. Overall, this makes it one of the most expensive countries in Western and Central Europe, with average prices running up to about $237 Canadian a day. If you’re just visiting for a day you can keep costs pretty low (even if that involves skiing at Malbun). Liechtenstein is a safe country with no nationwide advisory in place. The crime rate is low, though you should still be wary of petty crime (as always). Roads are good, however they can be dangerous in the wintertime. If you plan on heading into the mountains be sure to use caution, come prepared, don’t overestimate your skill, and be sure someone knows where you’re going. For much more in-depth information, check out the Canadian Travel Advisory for Liechtenstein. You can learn more about the history and culture of Liechtenstein in our Country Profile. 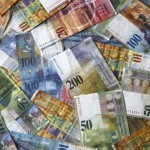 Also, find out all you need to know about the Swiss franc with the Currency Spotlight.